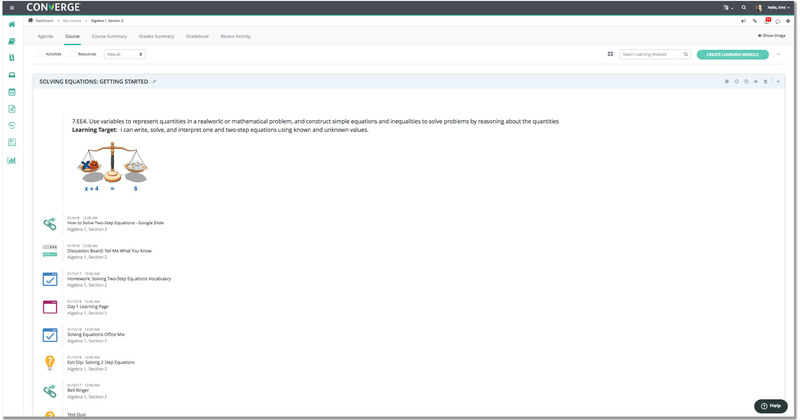 Benefit from a centralized dashboard feature that quickly aggregates important activities from all your courses such as in-platform messaging, assignments to be graded, and calendar events, with single-click interactions. Enjoy the freedom of building customized course pages that reflect your teaching style. Embed a course syllabus, class schedule, and important digital resources all from a dedicated course information page. Determine how, when, and where content is delivered to your students. You know what works best for your students. That's why we give you voice and choice when it comes to your instructional framework. Our modular-based design supports quick and easy content creation that can be hidden, re-ordered, and edited with a single click. No more endless scrolling through unorganized activity streams. 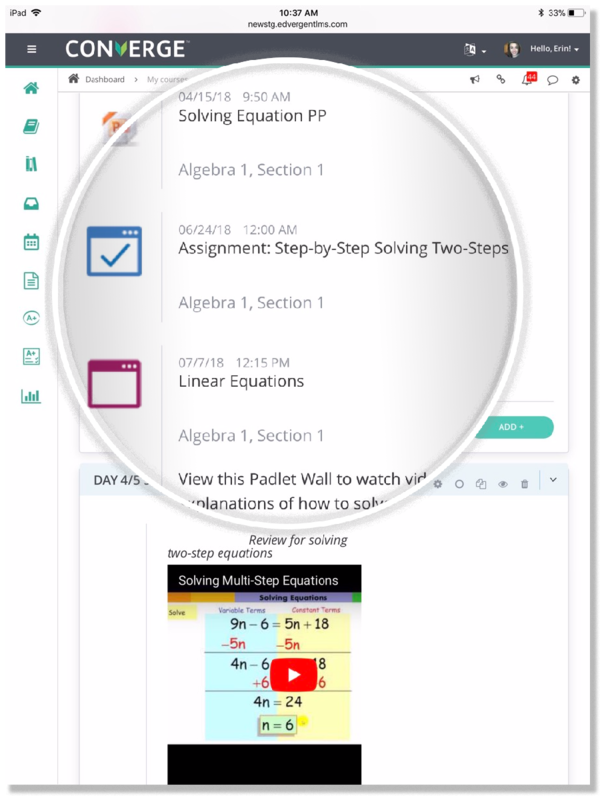 Access a custom learning timeline that includes upcoming assignments, action items, and events, with accompanying due dates from all your courses, making it easier than ever to stay on top of class activities and newly posted resources. 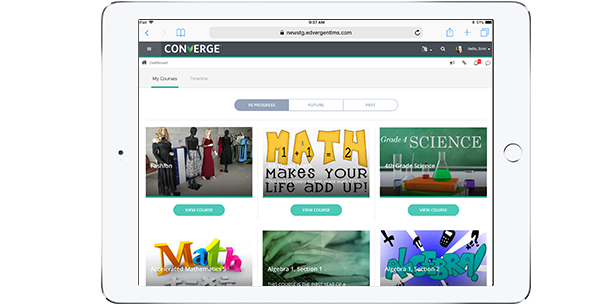 Leverage peer-created content with import features that provide seamless teacher to teacher connections. Designate co-teacher roles for collaborative instruction opportunities. 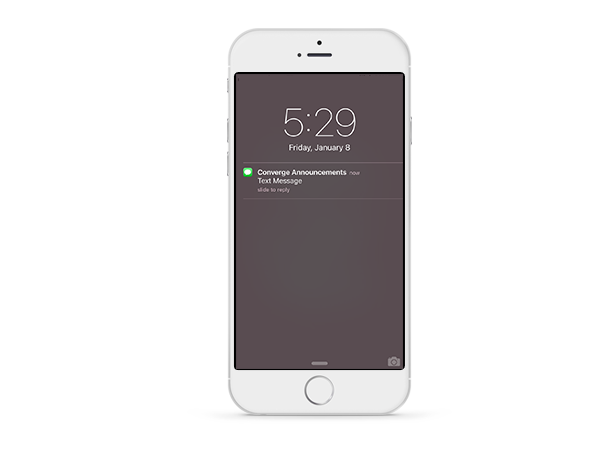 Instantly communicate at the course, school, and system level through announcements, mobile notifications, in-platform messaging, and more. 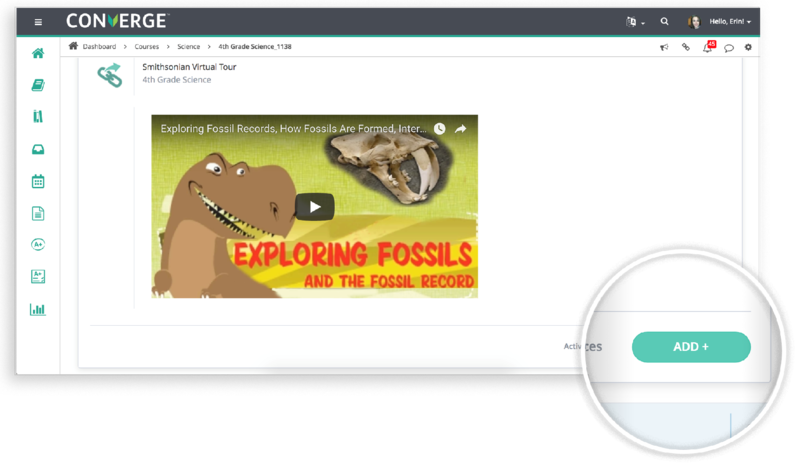 Our custom notifications center provides flexible delivery options for newly posted content to extend learning beyond the bell.